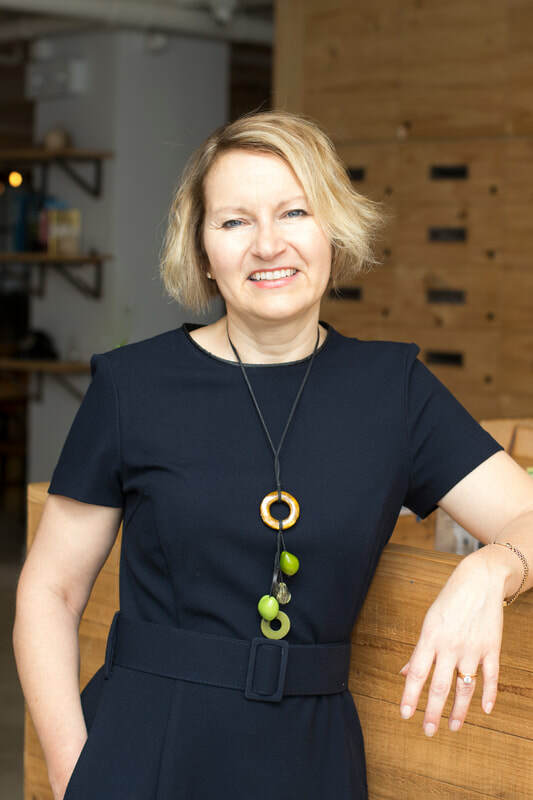 Owner and Managing Director of Health Nation HK, Alison Middleton is passionate about everything to do with health and wellbeing. As an Integrated Wellness and Transformation Practitioner, Alison has a unique approach combining all the elements of her training to bring together deep transformation and shifts at every level of your life, physically, emotionally, mentally and spiritually. A certified Clinical Hypnotherapist, an IIN accredited health coach, student at the School of Applied Functional Medicine and sought-after corporate speaker, Alison’s mission is to empower individuals to become the best versions of themselves and to bring mind and body into balance to create true wellbeing. H​Prior to starting her own business Alison was Former Global Group Head of Talent & Development for Nord Anglia Education and their 56 schools. With a background in HR, Alison spent most of her professional career in law firms in various senior HR roles including Head of Employee Relations, Reward and Management Information for Baker McKenzie in both London and Hong Kong, Global Diversity Manager and Head of Policy and Advice at Clifford Chance, London. In these roles health and wellbeing was a constant focus, with Alison being responsible for the development and introduction of wellbeing policies and interventions at both these top tier legal firms. She put in place and stress management policies and interventions such as an onsite Drs surgery, occupational health centre and managing group medical insurance and, long-term disability before deciding to make her passion her full time focus and business and retraining whilst working full time. Alison is, therefore uniquely placed to lead corporate and health and wellbeing programmes and workshops in the education sector, combing her training and HR background with her health knowledge, specialising in stress mastery and resilience. Some of the Clients we have worked with recently include CLSA, Freshfields, Clyde & Co, HSCBC, Manulife, PWC and Mount Kelly International school. All of our presentations and workshops are bespoke and designed to meet our individual client requirements. Although Alison works with men and women, she has always been a great champion of women and their development and growth. Being the main breadwinner in her family this is a mission that has always been and remains close to her heart. She has sat on the Steering Committee of TWF’s Mentoring Programme, has been a serving member for the last 5 years on the Women in Business Committee, BritCham (British Chamber in Hong Kong) and was honoured for her work as an Inspirational women leader at the very first CMO Asia awards held in Hong Kong in January 2019. And the TWF featured her as their first Alumni member in February 2019 showcasing that is it possible for women to transform and reinventthemselves and follow their passions and dreams for a living. As well as operating in the corporate arena, Alison loves working with individual clients too. Whether through pure health/ life coaching or through hypnotherapy or a blended program of both – for more information see Alison’s multi-disciplinary and unique Signature Transformation Programme (LINK). A highly skilled clinical hypnotherapist, Alison’s persistence and caring for her clients (men, women, children, teenagers and young adults) to get to the root cause of their issues or to help them reach life goals, has led to many amazing personal permanent transformations that she finds deeply satisfying and rewarding. Originally from London, Alison has always been a great believer in contributing to her local community and she was a magistrate/JP (one of the youngest in the country) for 6 years and an accredited mediator and has been based in Hong Kong for the last 8 years. She is the main breadwinner for her family and lives with her husband, Steve and her now 13-year-old son, Alex. ​In her spare time (!) Alison loves nothing more than spending time with her 2 boys either exploring one of the beautiful nearby islands or travelling further afield in Asia. The Middletons are often to be found sampling the culinary delights, indulging in family cookery classes wherever they go! Alison’s other passions are walking in nature, reading or watching psychological thrillers and cheering on Alex, a keen footballer, in his matches. Specialist areas: corporate wellbeing programmes, stress mastery, resilience, anxiety and depression, weight management, sleep, gut, mental and brain health.